If you followed TNW Brazil Startup Awards, you already know that the Startup of the Year award went to GetNinjas – a great opportunity to interview the founder and CEO of this promising venture, Eduardo L’Hotellier. TNW: Can you please introduce GetNinjas to our readers? EL: GetNinjas is a platform that connects clients with over 20,000 service providers. It’s a new market all over the world, even in the US, and it’s also a huge one, as only a small portion of these transactions currently happen online. This has to change: the Internet has changed the way we bank, the way we date… so why should we find service providers like we did 30 years ago? We can offer something better than Yellow Pages or unreliable recommendations. TNW: How did GetNinjas start? EL: It emerged in December 2010 with a different name as a Fiverr copycat, and I worked on it on my own until a first investor, Monashees Capital, showed interest for our team and our project around April 2011. They liked what they saw, but they also suggested that we should expand our scope – so we removed the pricing limit and we ventured into all kinds of services. We launched that version publicly in October 2011. TNW: What are you working on at the moment? EL: We are mostly working on the supply side – as I mentioned, we now list 20,000 service providers, and our goal is to reach the 100,000 milestone by October. TNW: Can you tell us more about your team? EL: We have 12 people in our team, with an in-house development staff and a strong operational department that checks profiles and so on. As for me, I am GetNinjas’ founder, and my previous experience includes engineering and investment. I obtained a Bachelor degree at the Military Institute of Engineering, before doing a post-graduate in finance and working in M&As. TNW: Most of your market is currently offline. How do you deal with this challenge? EL: We spread the word about our site on Facebook, we make many calls, we have partnerships with institutions… It’s not easy, but we are seeing a very high growth. TNW: What are the most important verticals for your site? EL: Our profile changed over time. Our main segments right now are design, works and refurbishment, programming and content production. So it’s not just for code ninjas! TNW: What’s your business model? EL: We have two sources of revenue: the commission we charge on transactions, and the one we charge on quotes – which is cleverly calculated by our proprietary algorithm. TNW: Do you have expansion plans? EL: We will start expanding beyond Brazil very shortly, starting with Spanish-speaking Latin America – Argentina and Chile, followed by another country every one or two months. That’s just a start: our model has been adapted to emerging markets, but we can make it work in other markets as well – we are not a copycat, and we could compete outside of Latin America. 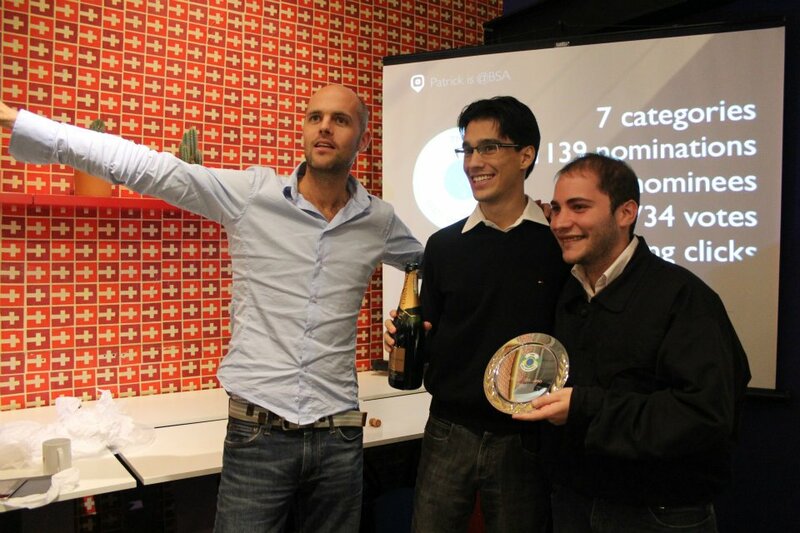 TNW: How does it feel to win the Startup of the Year award? EL: We are very pleased about it – we were competing against other startups that are both big and good, so it makes us even happier. We asked our users and friends of our friends to vote for us, and the work our community did was very efficient. It also shows that our users support us, which is not very surprising, considering that some of them make R$1,000-3,000 a month on our site (US$500-1,500). We now hope it will bring us more exposure, and we also see it as an acknowledgment of our work. As a matter of fact, our team is thrilled about it! We gathered all our staff members to congratulate them – many of them are starting their career, and this makes all of us very proud. TNW: Will you attend TNW Conference Latin America? EL: Definitely – we were already planning to attend, so it’s great that we won free tickets as part of the Startup Awards!